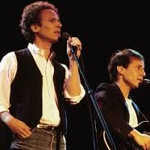 Learn how to play Simon & Garfunkel – I Am a Rock note-for-note on guitar. Playing Style: Strummed. Intro and outro are fingerpicked. Verses are strummed. The preview video contains the introduction taken from the complete lesson for the song I Am a Rock.